This is a granola packed with goodness. Oats are full of health benefits and spelt is high in vitamin B2, niacin, manganese, thiamin, copper, and magnesium, as well as being a good source of dietary fibre. 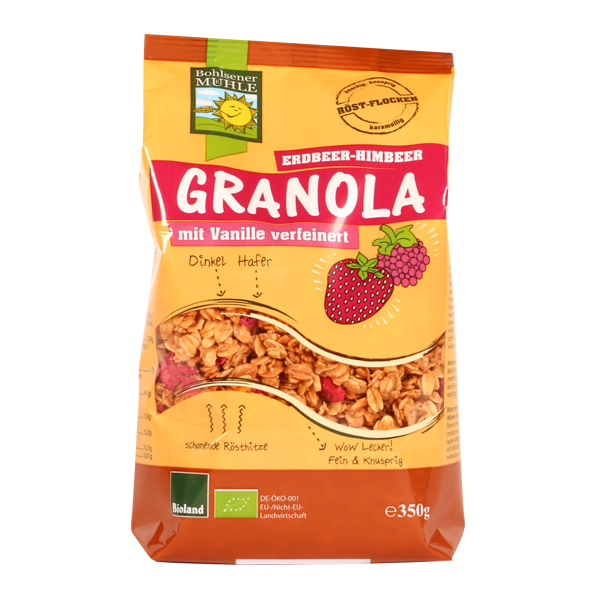 Gently roasted and enhanced with strawberries and raspberries and organic vanilla, this granola is sweetened with honey, so you can be sure that this is a breakfast cereal that not only tastes good, it is also a great source of energy, helping to sustain you through till lunchtime! May contain traces of nuts, milk, egg, soya and celery. Once opened store well sealed, in a cool and dry place. 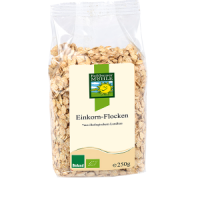 Delicious,crunchy and not too sweet - we enjoy it!